The A57 at Crosspool reopened on Monday lunchtime to single lane traffic after three weeks of maintenance work. The road was closed in both directions from Hagg Lane and Coldwell Lane to the junction of Rivelin Valley Road at the beginning of November. The closure was to allow major repairs to be carried out following a landslip. Andrew Harley, Construction Manager at Amey who are carrying out the work as part of the Streets Ahead project, said: “We’ve dug deep under the road to replace a damaged drain and to dig out more than 700 tonnes of clay and rock and install supports to help prevent further land movement. The Bamford bus is also now running as normal once again. 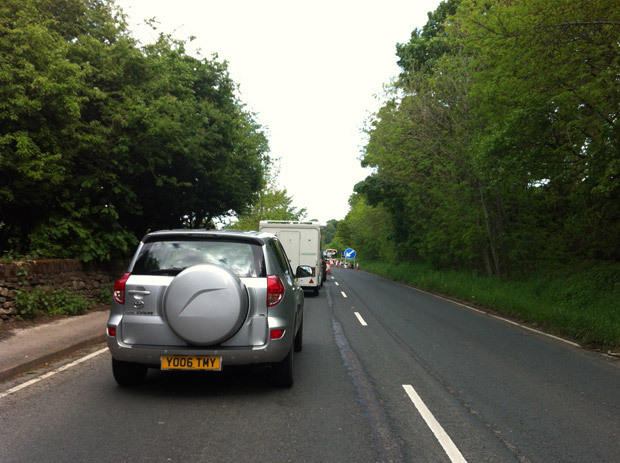 This entry was posted in crosspool, news, roadworks, traffic and tagged a57, amey, manchester road. Bookmark the permalink.